Haitian-Japanese tennis player Naomi Osaka drops Adidas and signs a new deal with Nike. 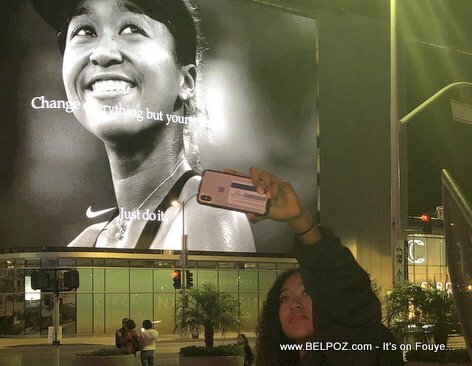 Here is a picture of the Naomi Osaka taking a selfie of herself in front of a big Nike billboard with here picture on it with the slogan: "Change everything but yourself... Just do it!" As of April 4th 2019, world number one Tennis player Naomi Osaka is now going to be rocking that Nike swoosh and saying "Just Do It!" after dropping Adidas.